I must admit, I was a little late to the A2 hosting but boy am I glad I eventually signed up! There's so much to like about A2 and what they offer. Speed, reliability and a most importantly a very good price point. These are just some of the reasons that so many people trust A2 hosting with their websites. Please note that the above are the standard cost prices. In my experience, they never actually charge these rates and always have offers on their plans, sometimes with as much as 60% off. Yes, there is a 30 day money back guarantee. If you cancel your plan within the first 390 days then you receive a full refund. In their own word "Just cancel your account within your first 30-days for a full refund, or anytime after for a prorated refund of unused service after 30-days." You have the option to choose from 1, 2 or 32-year plans. Generally speaking, the longer you sign up for the better the deal you get. A2 Hosting states that shared hosting plans are repeatedly faster than competitors. They offer 24/7 customer support for all clients, as well as unlimited resources, reliable servers, and free website migration. Support for PostgreSQL 9.4, Python, PERL 5.10, Apache 2.2 and Node.js. This is one of A2 Hostings best qualities. They have a 99.99% uptime commitment. If anything else apart from the above list causes your website to go down, A2 Hosting will compensate you in the form of service credit. This is an unlikely scenario but worth pointing out! Do A2 offer free site migration? If your former web hosting provider supports cPanel, A2 Hosting can manage the migration on your behalf. Migrations are available for shared, managed VPS, and managed dedicated accounts, and this process typically takes less than 72 hours. If your old host does not provide cPanel, A2 Hosting will manually transfer one website for you. What are the pros and cons of using A2 Hosting? 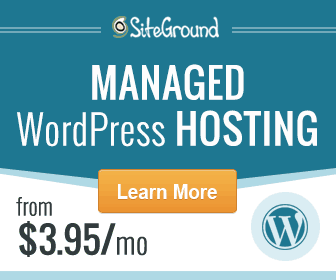 A2 are consistently one of the top rated hosting companies and for good reason. Uptime is consistent and fast speeds are a huge plus. All accounts get $150 free advertising credits for Bing and Yahoo. No website builder. No free domain. This is a non-issue for most people but just be warned! So many options that it can be overwhelming for a rookie user. It is definitely in the top tier of shared hosting at very affordable prices. Uptime is excellent and customer support is solid. Visit A2 Hosting and see for yourself!